Are you a detail-oriented and hyper organised planner with a passion for spreadsheets? Then we’d love to talk! 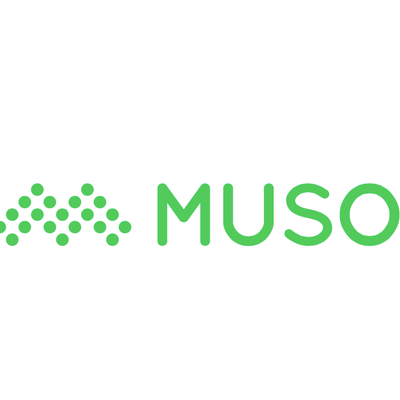 MUSO is the authority on digital piracy – creating opportunity from data. Having closed a Series A last year, we’re building out the London team to support our next phase of development. This is a role supporting both the finance function and cultivating our London team culture at a key stage in our evolution. Develop, maintain and ensure accurate and timely data entry to the Xero online accounting and financial information system. AR / AP: Complete reconciliations of ledger control accounts AR & AP including investigation and resolution of historical transactions. Bank Reconciliation: Responsible for updating bank reconciliations and credit card reconciliations including historical transactions. Create and maintain accurate reconciliations for all balance sheet accounts. Inventory: Completion of Fixed Asset inventory and subsequent setup in Xero. Including monthly depreciation journals. Month-end Process Assist: Assist Financial Controller with establishing a month end close process including payroll, VAT, prepayments and accruals. Records: Timely and accurate operation of the Xero online accounting system and associated physical and electronic records. Keep our office humming and our employees looked after as regards to the working environment. Office Admin: You are the first in to set the office, ensure doors are unlocked, tend to couriers, greet visitors including offering them a beverage, ensure supplies are topped up, phones are answered, mail is collected / opened / actioned and senior staff general admin is handled in a timely fashion. If not available or on holiday, clear comms and handover is requested. Office Appearance: Making sure office equipment, furniture and general appearance is spotless. This may include broken items being logged and scheduled for repair or replacement, storage areas organised and kept tidy and systems / guidelines with staff that help keep our space looking smart. Employee Equipment: Basic staff requirements – computer, desk, chair and other essential equipment (including fobs and keys) – is provisioned and timed for new joiner dates. Supplies + Suppliers: Own, schedule and look after suppliers related to office (plants, internet/phone, groceries for refreshments and snacks). Proactively plan and schedule delivery of services in line with allocated office budget to ensure a well-functioning office. Guidelines + Policy: Ensure staff develops good behavior in office, manage issues that are clearly a problem with guidelines, provide clear communications on special events and business as usual. On-board new employees, freelancers and contractors to how the office works. Office Culture: Help plan ad-hoc team events, holiday celebrations and client-related activities. This may require scheduling in events based on availability, booking venues, buying food and drink, arranging gifts and cards and ensuring the office budget is used cleverly. Examples of expected events include Christmas party, monthly staff gatherings, birthdays (or other personal celebrations) and client events. AAT Qualified or Part Qualified (CIMA/ACCA) accountant with 1-3 years experience working in a finance/accounting role and office management. Experience of performing detailed reconciliations to a high standard. A strong technical accountant with passion for well-organized administration, process discipline, controls, training and best practice in finance. Highly motivated self starter, takes ownership and seeks solutions. Experience using Xero accounting software is desired but not essential. Strong Google Sheets or Excel skills would be advantageous.